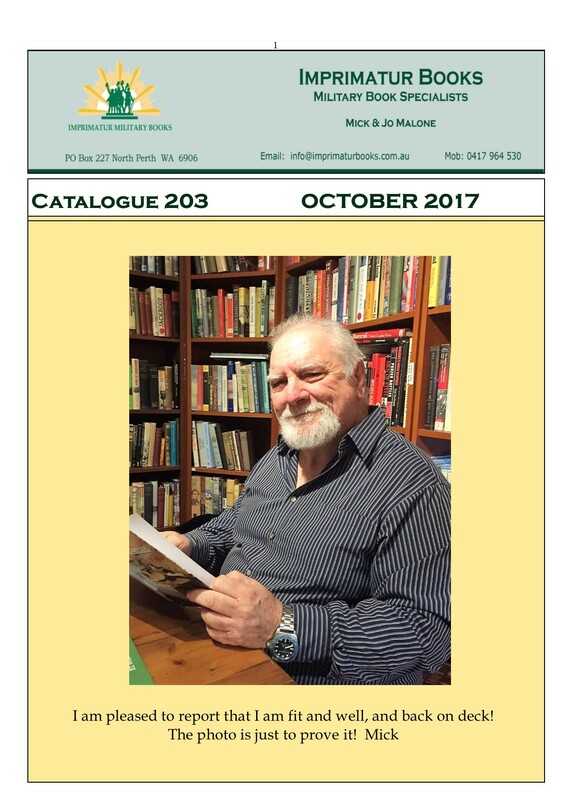 Welcome to the October Catalogue #203. You will be pleased to know that I am fighting fit and ready for anything. I’m a great enigma to the micro-biologists and cardio people. I’ve got to be fit for our daughters wedding and the Canadian tribe here for Christmas. Well on track! This catalogue will hit the streets more or less on time, as I get back into the groove as it were. I very nearly didn’t go ahead with this one out of respect for the 58 killed and over 500 wounded in Las Vegas. I thought initially this murderous piece of work must have been an ex military man given the armoury he brought to the hotel (how was he able to do that?) But no, he wasn’t a trained soldier who saw too much action on various war fronts and had descended into the labyrinth of PTSD, no, just a loopy murderous civilian who then topped himself when the police arrived. Great mystery this. The WHY will probably never be established and it will continue to happen as long as Americans have unfettered access to semi-auto rifles…….